Seamlessly integrate a full complement of electronic document management capabilities within the Microsoft Windows environment. A document management system that integrates with common, everyday software applications people are already familiar with builds user-adoption and user-acceptance. Find out how easy it is to use Document Locator with our document management features and integrations. A document management system that grows as your business grows, and easily expands as you need to deploy in additional areas of business, offers the greatest value for current and future needs. Learn more about Document Locator. A document management system adds value in everything from reduced storage and shipping costs, to faster retrieval of information that speed business processes, to reduced regulatory and financial risk from lost information. 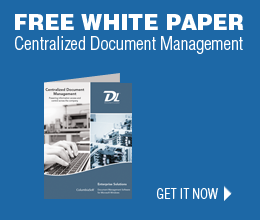 See all the ways Document Locator adds value with document management solutions.